Harness the exfoliating power of gentle, natural micro-scrubbies that help to buff and brighten skin – no plastic microbeads here! Water (eau), Glycerin, Sodium Laureth Sulfate, Cellulose, Lauryl Glucoside, Acrylates/C10-30 Alkyl Acrylate Crosspolymer, Microcrystalline Cellulose, Phenoxyethanol, Cera Microcristallina, Parfum, Methylparaben, Sodium Hydroxide, Mannitol, Disodium EDTA, Citrus Limon (Lemon) Fruit Extract, Ascorbyl Palmitate, Acrylates/Ammonium Methacrylate Copolymer, Hydroxypropyl Methylcellulose, Talc, Triethyl Citrate, Tocopheryl Acetate, Mica, Yellow 5 Lake, Titanium Dioxide, Iron Oxides. I received this product for free through an influenster box. It gently exfoliates, smells great and doesnt leave my skin feeling dry and tight! Smells refreshing and I use this twice a week to not over exfoliate my skin. You only need to use a small pea size to apply all over your face. It has this nice lemony scent to it. I found that the first times I used it, I had small reactions. So even though it says it can be used on a daily basis, I used it only about 2-3 times a week. The texture is very liquid and personally I prefer scrubs that had a thicker consistency & with more beads to exfoliate. 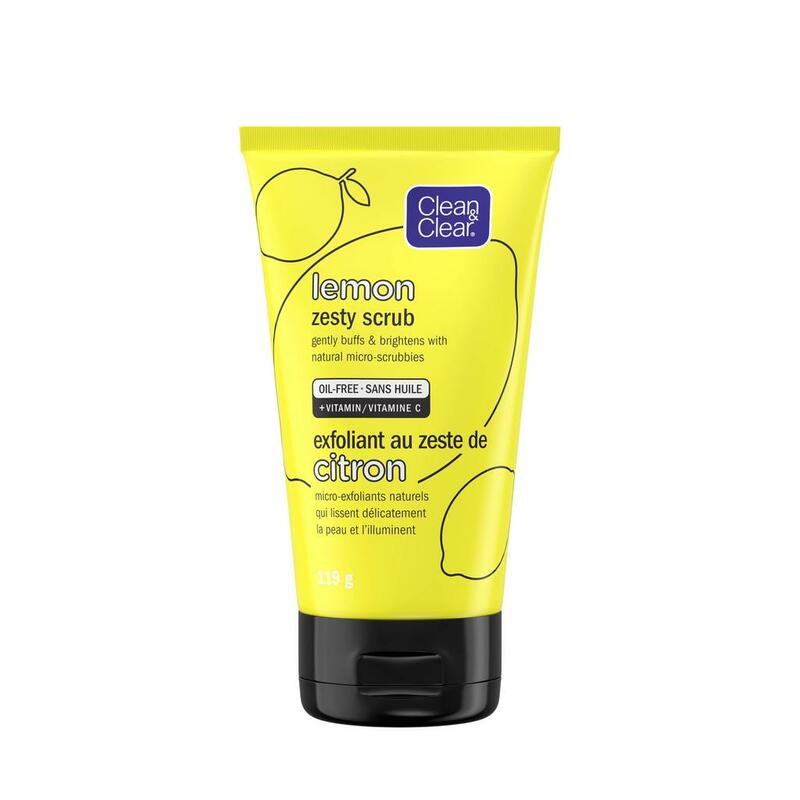 I didnt find this scrub made any difference to my skin so I wont be repurchasing this product. We're sorry to hear this! We'd like to speak with you to learn more. Please give us a call at 1-877-754-6411, M-F 9am to 5:30pm ET. We hope to hear from you soon! Unfortunately I have reactions to lemon, so my husband stepped in to use the products and review them for me. So here's how this worked from his perspective! My husband has slightly sensitive and combination skin. He found this didn't give him any redness and it has worked well against any blemishes popping up. It didn't make his skin feel tight and he enjoyed the lemon scent. He appreciated the gentleness of the scrub and I think we can all appreciate the natural aspect as opposed to plastic microbeads. He liked it, but he wasn't in love with it. He's thinking he'll use it more when his skin is acting up or just a few times a week, because he doesn't feel the need for an exfoliating scrub on a daily basis.